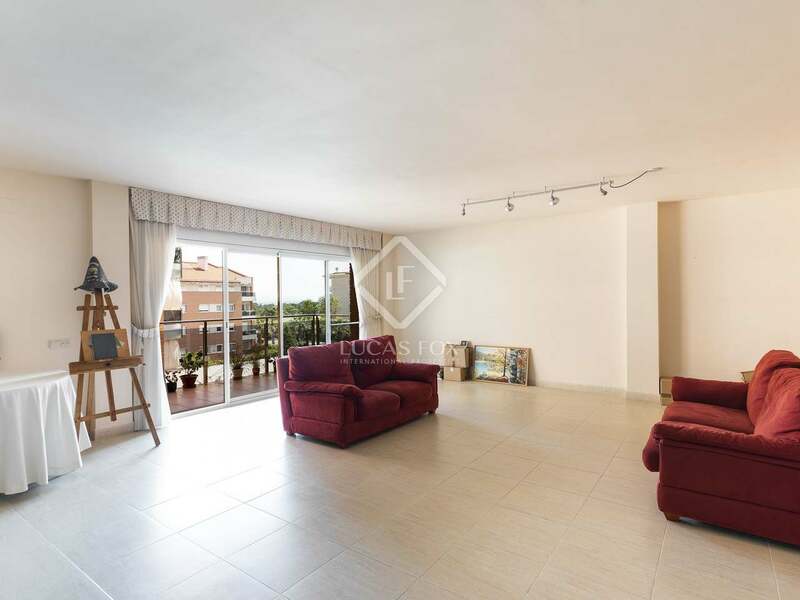 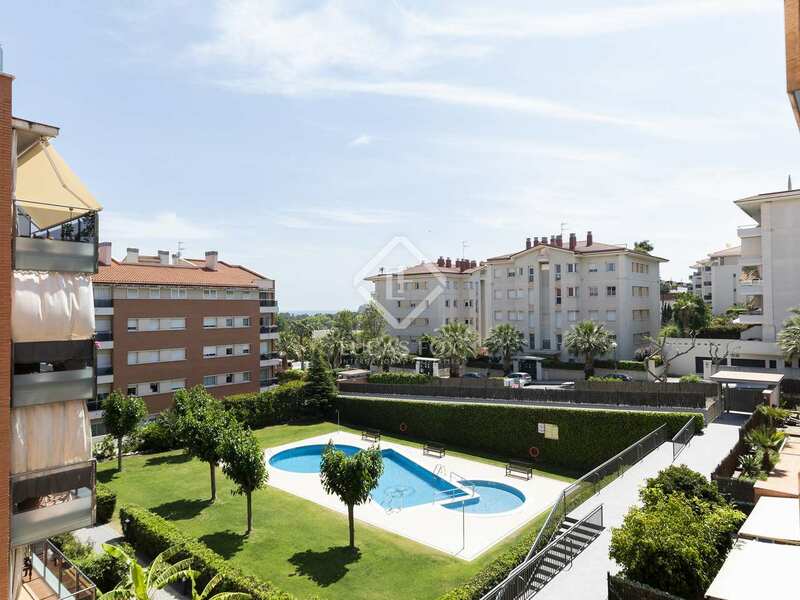 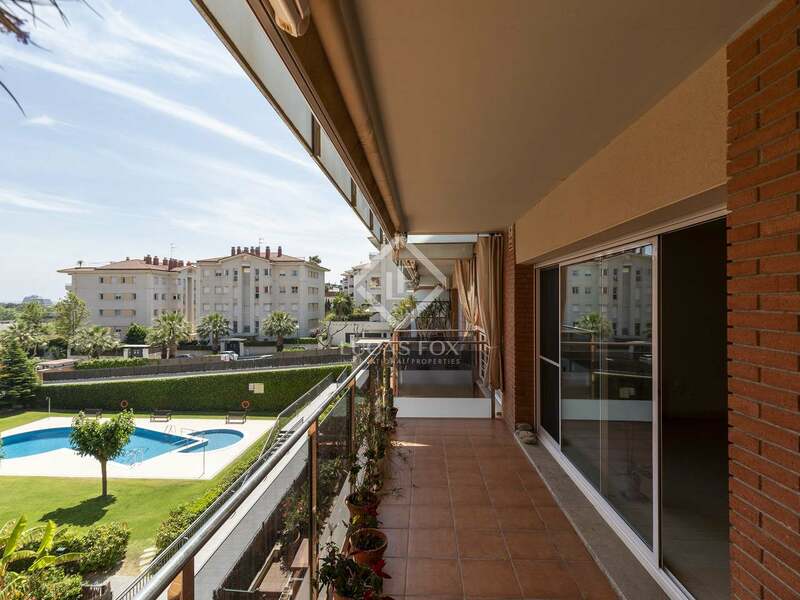 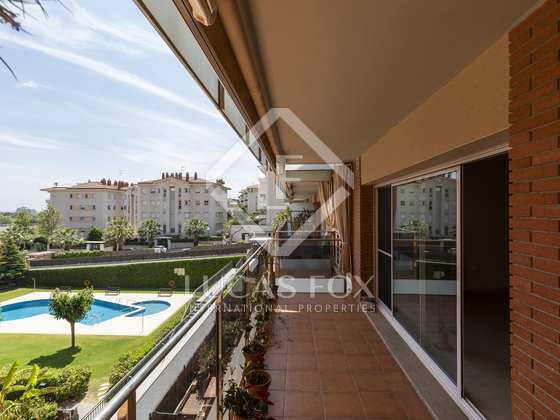 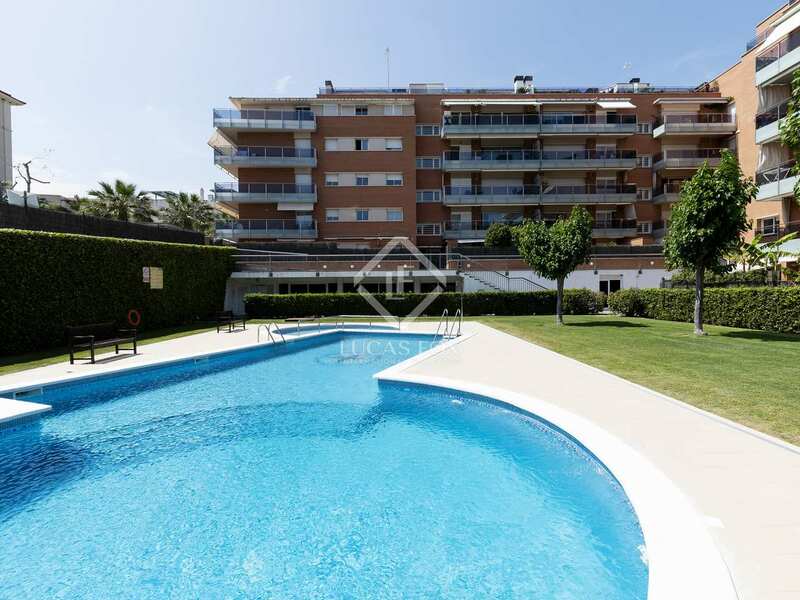 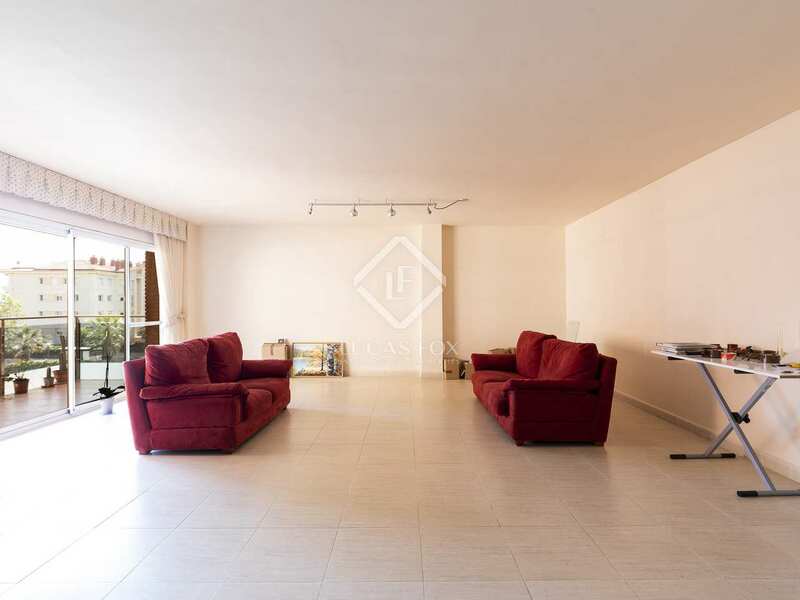 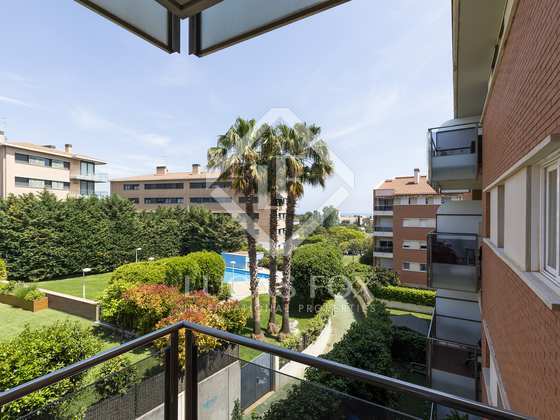 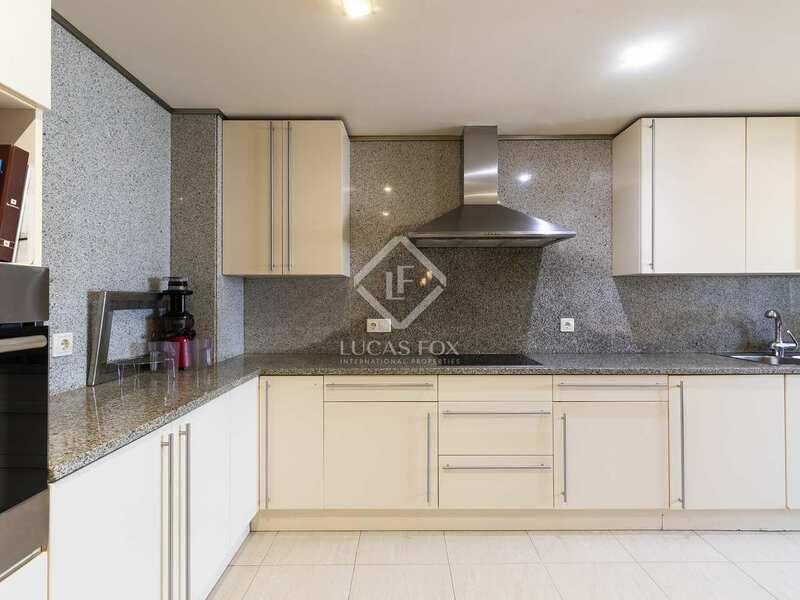 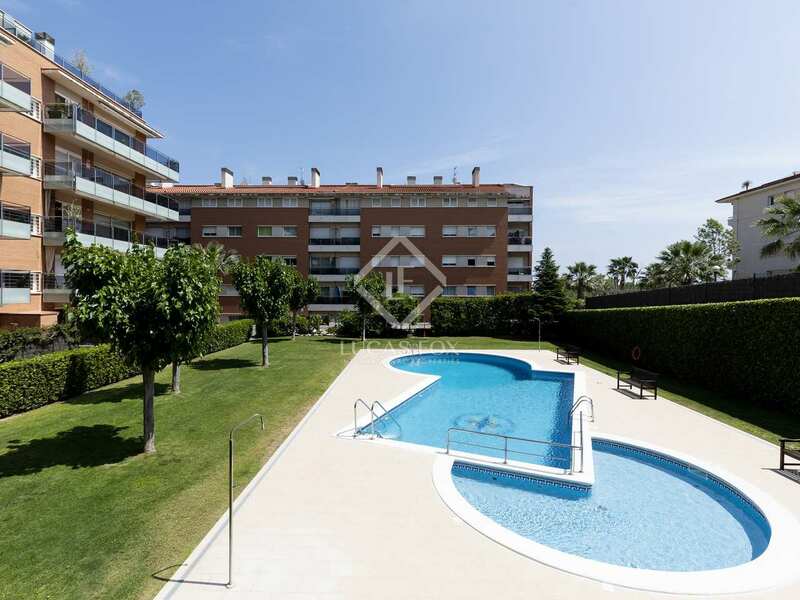 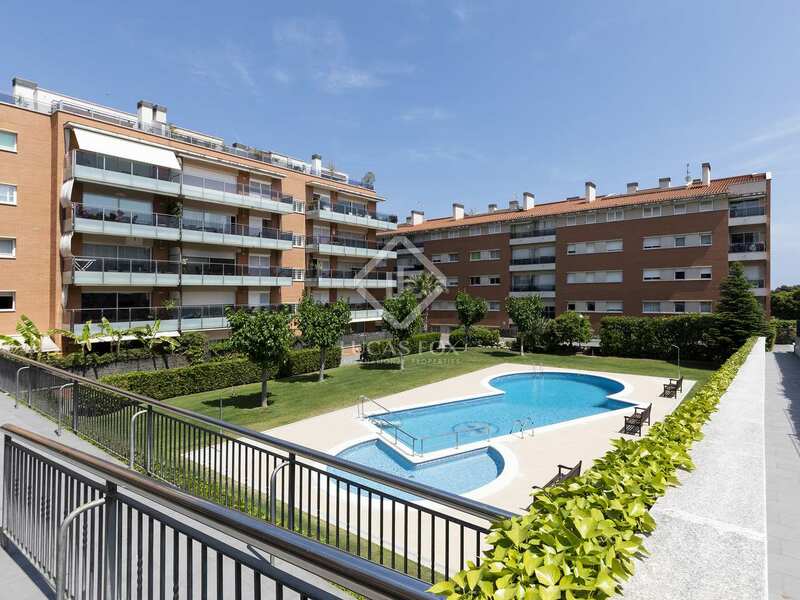 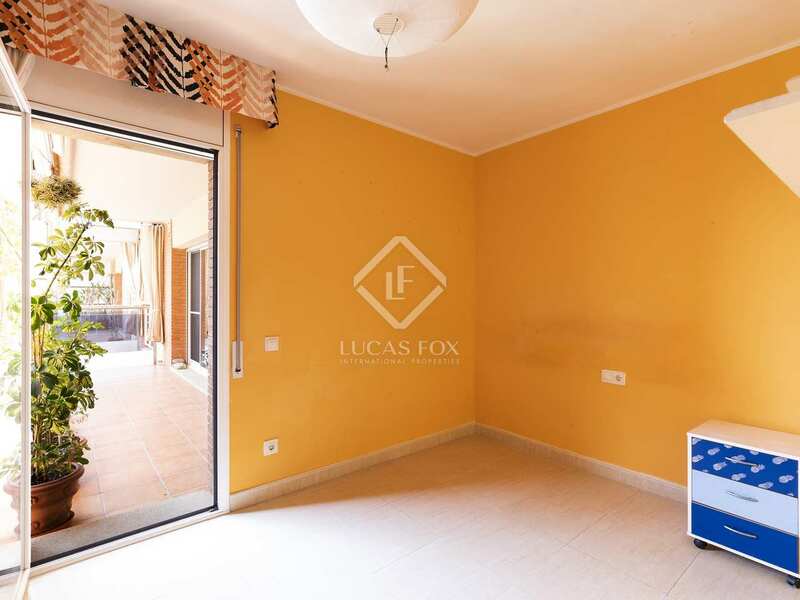 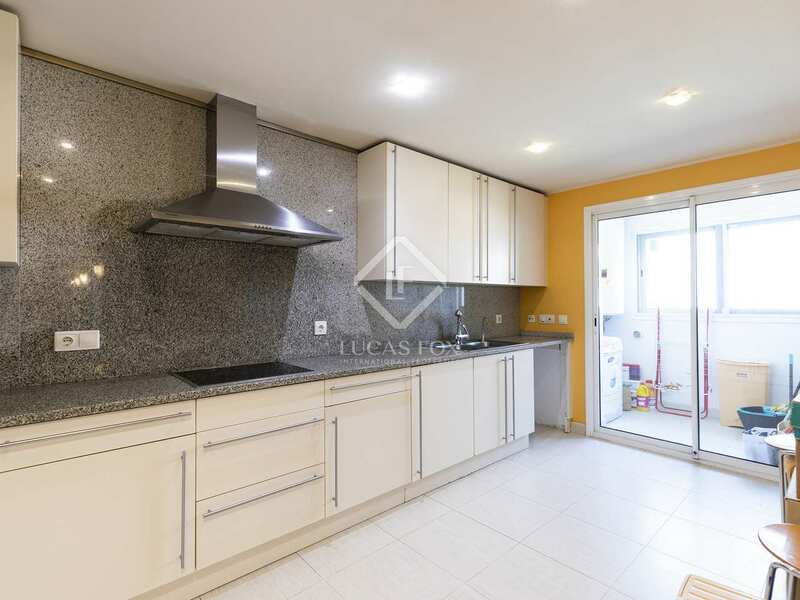 This large apartment is for sale in Can Pei, a quiet residential area just a 20 minute walk to the beach and centre of Sitges. 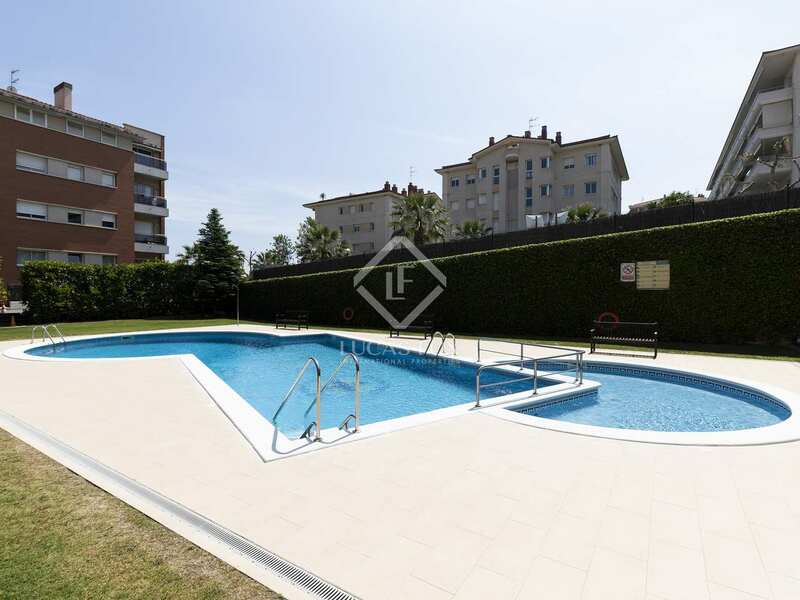 The property is part of a pleasant community with communal gardens, a pool and children's area. 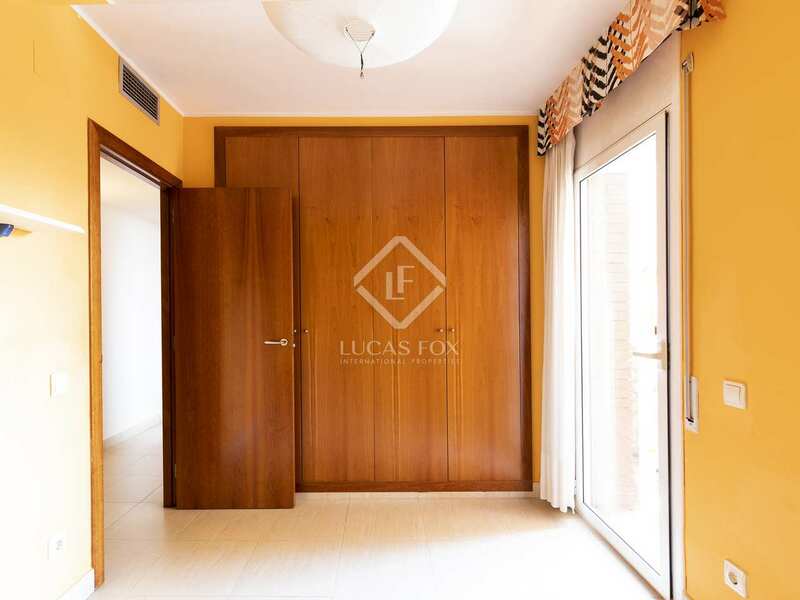 We are welcomed into the apartment by a hallway with fitted closets for maximum storage. 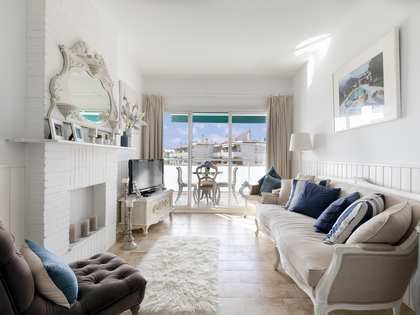 To the left there are 2 single bedrooms, 1 of which has access to the terrace, and 2 bathrooms. 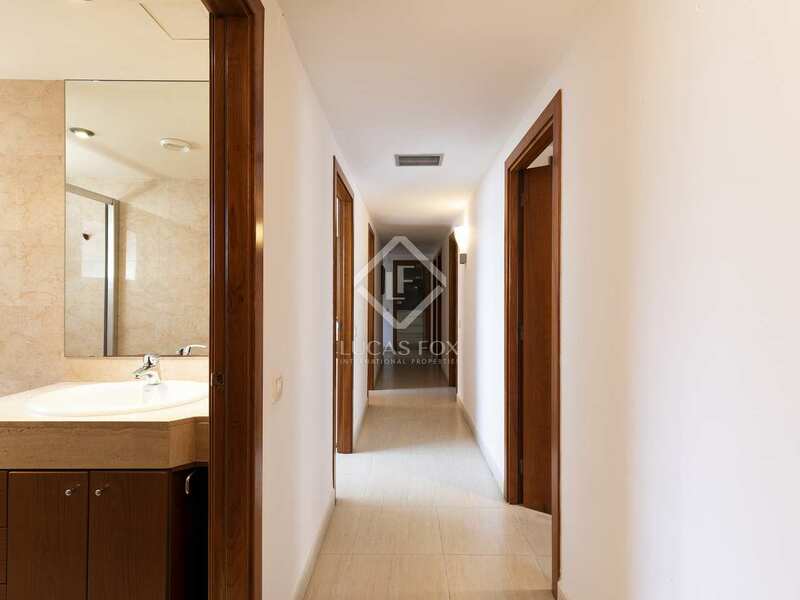 The master bedroom, which has an en-suite bathroom and a balcony, and 2 further double bedrooms are on the right hand side. 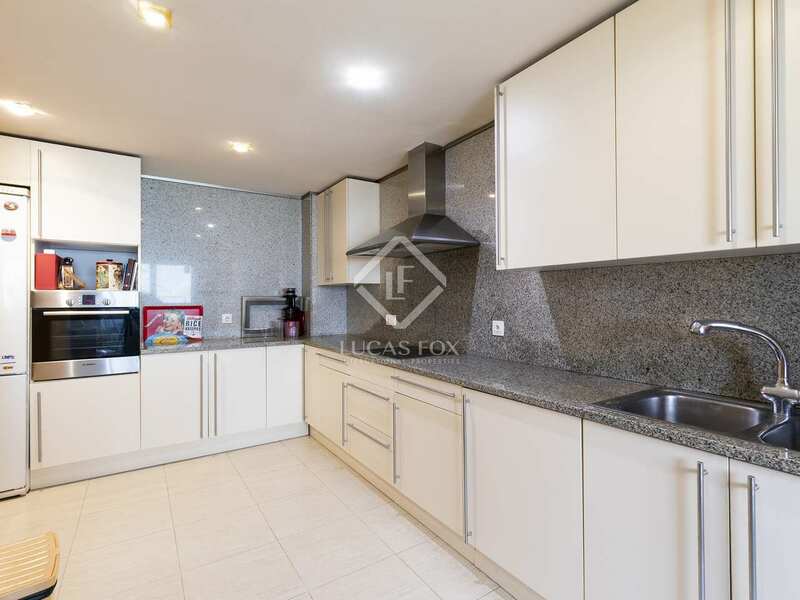 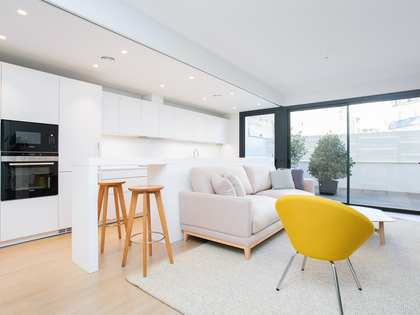 The large kitchen is well-equipped and there is also a utility room. 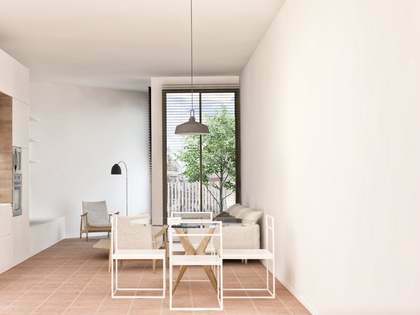 The living-dining area measures an impressive 50m² and, with glass doors leading to the terrace, receives abundant natural light. 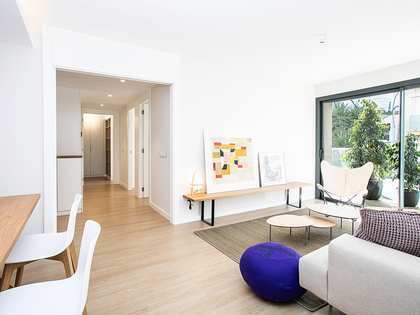 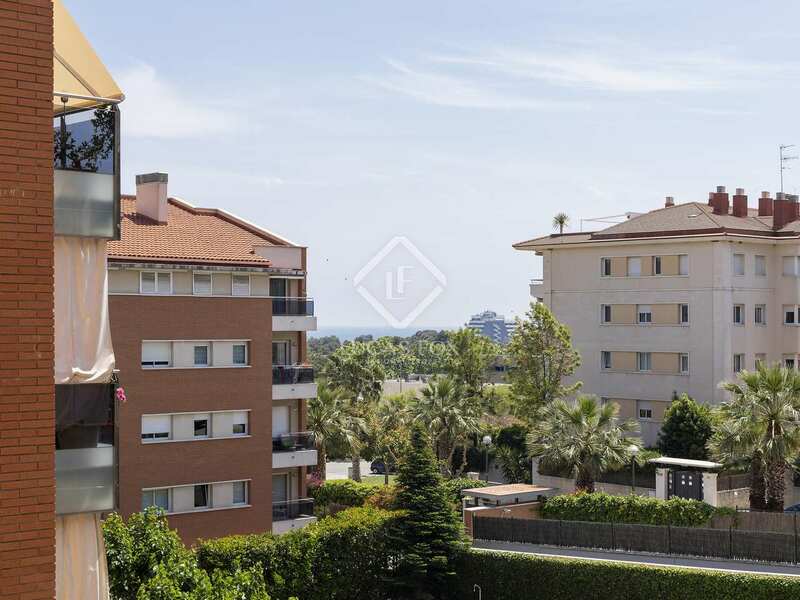 Sea views and views across the communal areas can be enjoyed from the terrace, ideal for relaxing and making the most of the excellent climate. 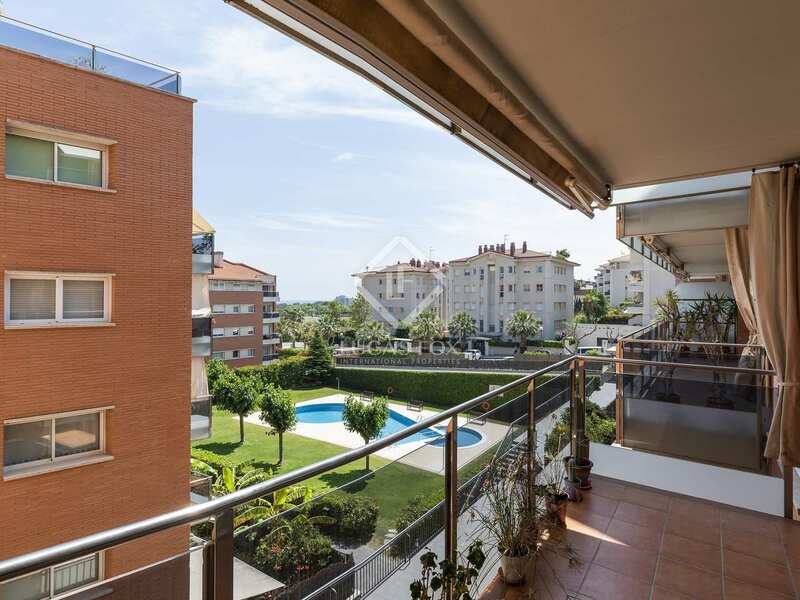 Given the excellent communal facilities and generous living spaces, this apartment would make a lovely family home or second residence close to the coast. 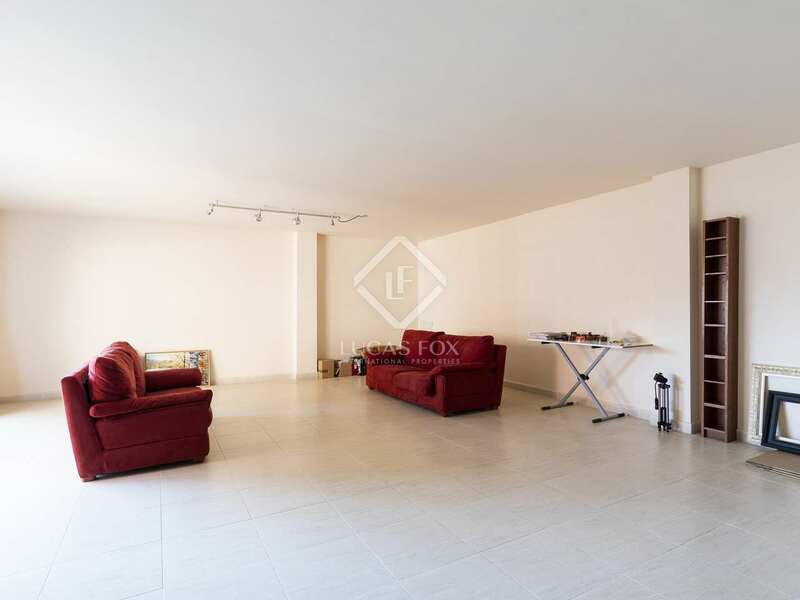 One parking space is included in the price, an additional space is available, the sale price including this additional space would be € 550,000. 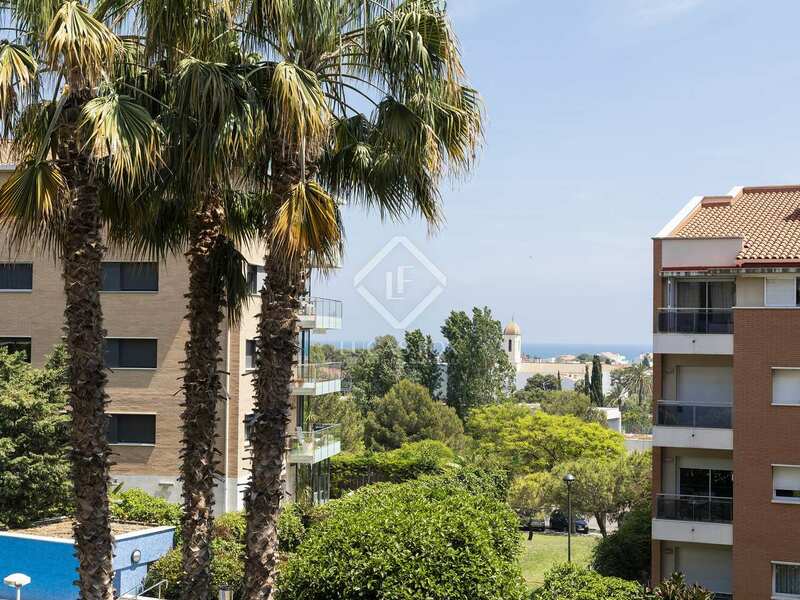 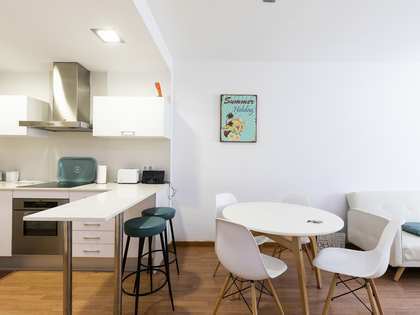 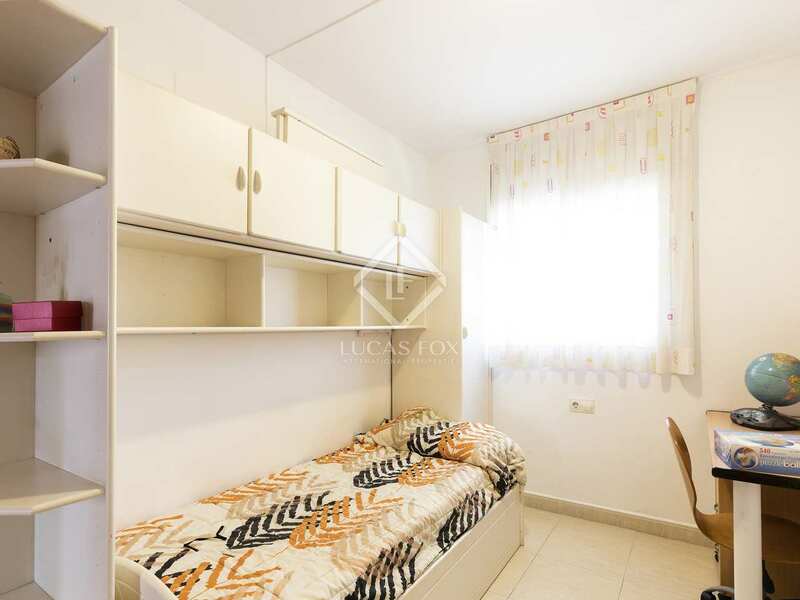 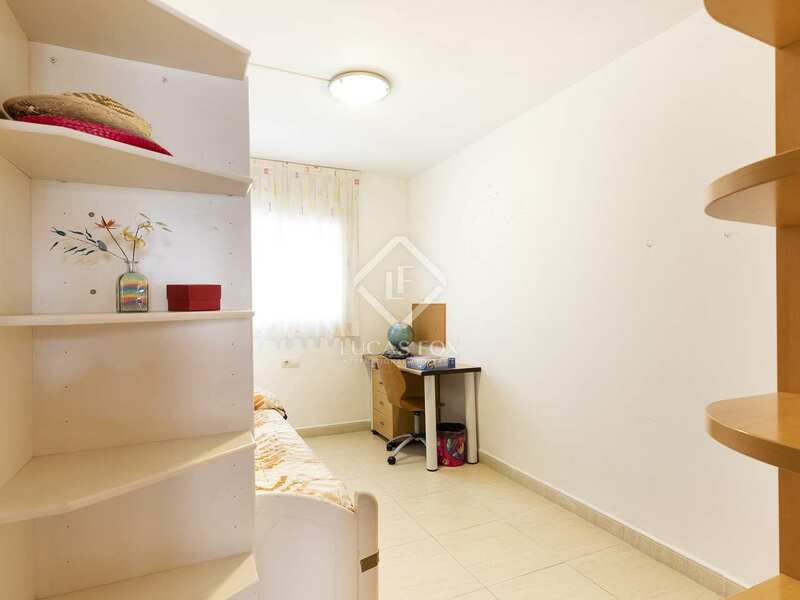 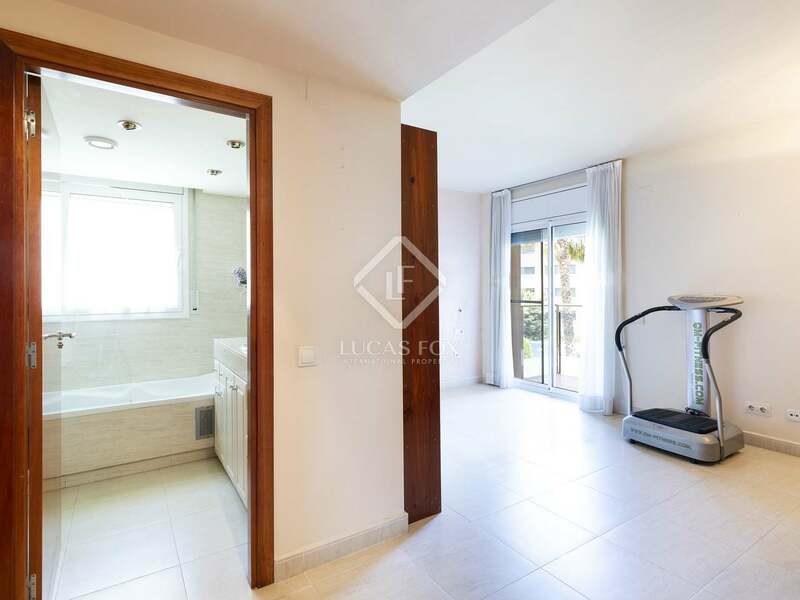 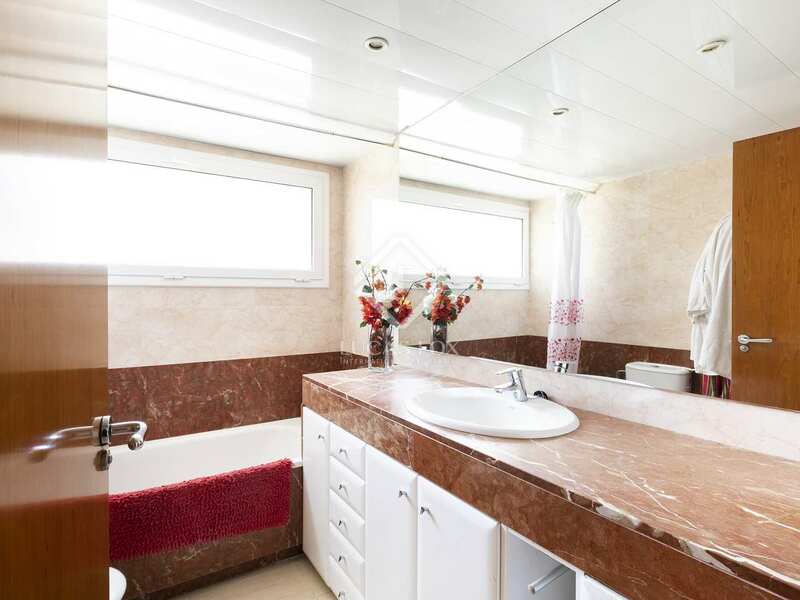 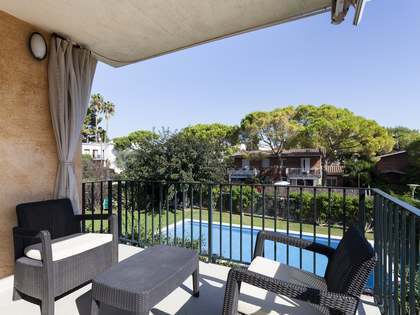 Apartment located in Can Pei, a quiet residential area just a 20 minute walk to the beach and to the centre of Sitges, a charming seaside town with a wide range of services, restaurants and bars. 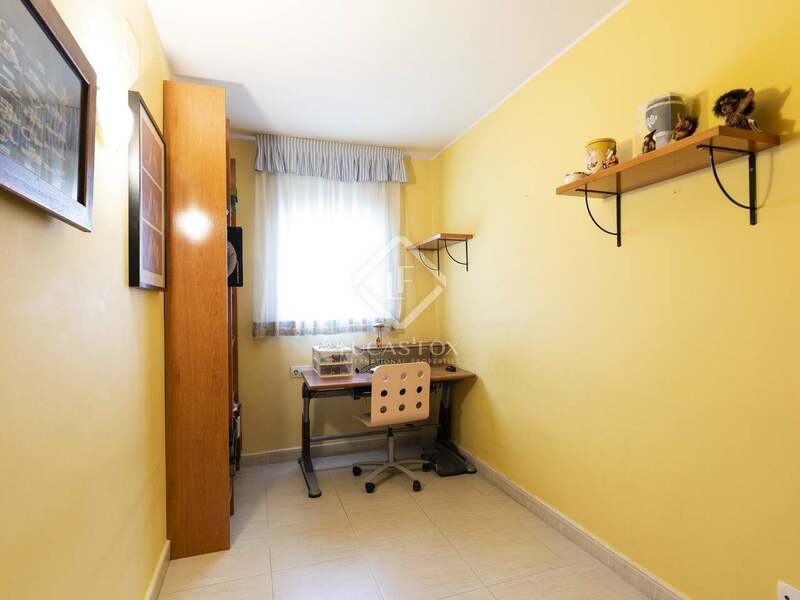 There is a supermarket and restaurant close by as well as schools and a university.